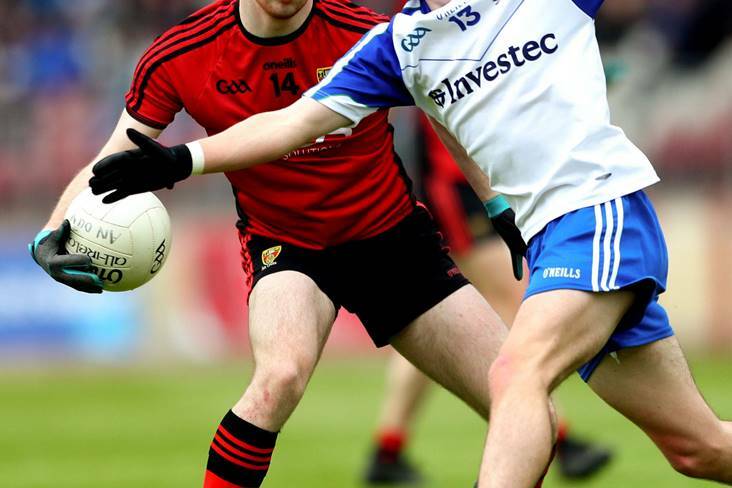 Down and Monaghan will meet in the Ulster MFC preliminary round on Saturday, 20 April. The Farney County were beaten by Tyrone after extra-time in the provincial league final at Glen four days ago. However, Down also face a quick turnaround having lost to Sligo in the Shield final on the same day at St Tiernach's Park. "You don't like to lose but it's not a major setback because we used the league to test out our players, to see how good the panel was and look at various options," said Counihan when speaking at the launch of the Ulster MFC at the Tyrone GAA Centre of Excellence in Garvaghey on Monday evening. "We are delighted with how the league campaign went overall, yes disappointed that we lost the final after extra time but the bigger picture for us was always about the Ulster championship and getting ready for this game against Down. "Some people would say that going out in another big game inside a week is going to be very testing for these lads, but look, these lads are all sixteen, seventeen years of age and they are just mad to play football. "They would play morning, noon and night if they could and they wouldn't use this thing of just a week as an excuse because we came through the league final injury free, so we are happy enough that. "The fact that we had Down in the league and the winners of us and Down on Saturday play Antrim in the quarter-final and Antrim were in our section of the league, so there was a lot of shadowboxing I suppose and you couldn't read too much into results or that. "Look, as far as the league was concerned, what we got out of it was we had a look at every player on the panel, we are a new management team, we have a new set up this year and we needed to find those things out and we are delighted with how it has gone."